If you’re seeking an all inclusive holiday deal then we’ve got plenty in this week’s Real Deals. But this is not the week to be selfish – oh no! With Mothering Sunday just around the corner we’ve hunted out a fab treat for the two of you, and we won’t tell it’s 25% off the usual price. It’s all thanks to Red Letter Days who are offering this afternoon tea for two deal for £26 but you’ll have to be quick as availability is only until the end of the month. Handily though, Mothering Sunday falls on 30th March this year – so get buying, call your mother and get booking. What do you get? 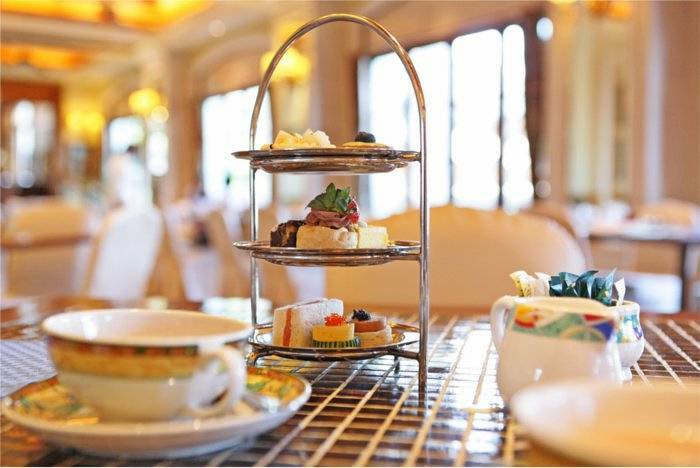 Afternoon tea includes finger sandwiches, scones with cream and jam and a selection of cakes, all with your choice of tea or coffee. Exact options will vary by location but we’ve heard you can expect things like eclairs, lemon drizzle cake and brownies. Go hungry because in our experience you’ll certainly get plenty! Where can you go? This deal is offering a choice of six locations including Yorkshire, Buckinghamshire, Lancashire and West Sussex. Pick whichever is closest to you, or why not pop over to our hotel search and make a night of it! This deal is shifting faster than, well, hot scones – so get your mitts on one right now! ← Paradise Found: WiFi Included!